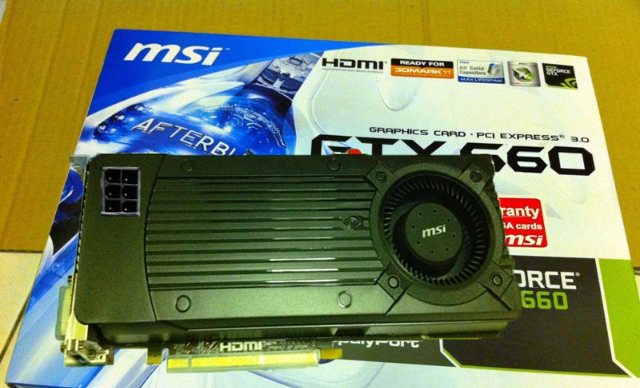 According to sources with SweClockers.com, they had gotten information from retailers regarding the availability of the upcoming GeForce GTX 660 graphics card codenamed GK106. The launch has been slated for the summers with the price slated to be $350. The price too includes VAT. Earlier leaks had suggested the price to be set around $299 to $329. Nevertheless, as the latest rumors suggest, the card packs 4 SMX clusters along with 786 CUDA cores with 2 GB of DDR5 memory across either a 192 bit or 256 bit interface. More of, the 256 bit is more likely to come. Furthermore, SweClockers themselves claim the GTX 660 will be launched either at the end of July or early August for $299. Noting the possibility of it being true, one can expect the Ti branding to be continued with numerous variants of the GTX 660 on launch day that would differ in bit interface, memory and CUDA core count.